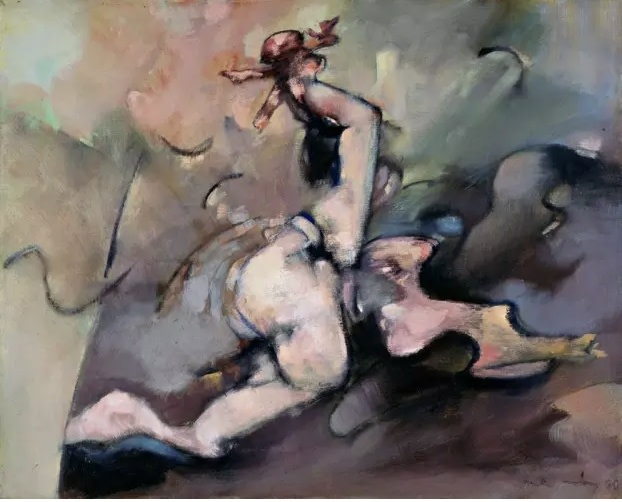 Alison Jacques Gallery is proud to announce that the Museo Nacional Centro de Arte Reina Sofía, Madrid in collaboration with Tate Modern, London will present a major solo exhibition of Dorothea Tanning (b. 1910, Galesburg, Illinois; d. 2012, New York) that explores key themes spanning seven decades of this seminal artist's career. Behind the Door, Another Invisible Door, curated by Alyce Mahon, revolves around themed rooms drifting through the periods which were integral to Tanning’s career — spanning childhood and family scenes, girls dressed in Victorian clothing, baroque and bucolic nudes, red-rock deserts, and representations of flowers, highly pertinent in her mature work. Paintings such as Maternity V (1980) will be exhibited alongside installations including Chambre 202, Hôtel du Pavot [Poppy Hotel, Room 202] (1970–1973), with amorphous sculptures inviting visitors to see, feel and be part of the surreal world she inhabits. The exhibition at the Museo Reina Sofia, Madrid will run from 3 October 2018 - 7 January 2019. Afterwards the exhibition will move onto the Tate Modern, London, from 27 February - 9 June 2019, Tanning's first retrospective in the UK since her death in 2012.